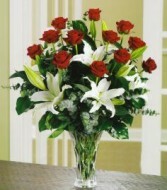 12 LONG STEM ROSES WITH WHITE LILLIES. 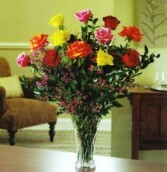 These color roses are a classic way to say "I Love You!" Send them on that special day, and your loved one will know for sure you do. This pure white bouquet of Casa Blanca lilies makes an elegant statement as a perfect floral tribute, centerpiece or decorative arrangement. These lovely lilies also leave a soft fragrance in the air. 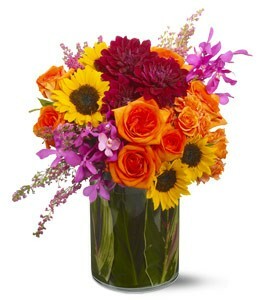 Show loved ones that you care with fresh flowers from JOAN'S AROMA FLORIST. 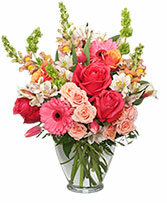 Love is in the air at JOAN'S AROMA FLORIST in MIAMI, FL. Needing something for that special person you married or are dating? 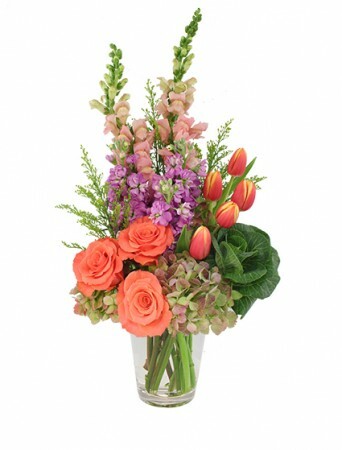 Let JOAN'S AROMA FLORIST help you this mothers day with some of our truly unique gift ideas. 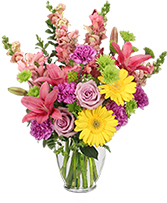 We have everything you need to make your mother smile - from beautiful floral arrangements to customized mothers day gift baskets. Roses are always a great, classic way to say 'I love you' while a bouquet of your loved one's favorite flowers is always a wonderful surprise. Wanting something even more unique? Fill a gift basket with clothes, accessories, luxury bath products, stuffed animals, or even their favorite snacks to make a gift that is perfect for any mothers Then, top off your gift with a great balloon bouquet that says just how you feel. Let JOAN'S AROMA FLORIST in MIAMI, FL help you with all your mother's Day gifts. Browse our sample mother's Day selections and order online, stop by our store, or give us a call in order to customize your special mother There's no better way to say 'I love you' on this holiday than with flowers from JOAN'S AROMA FLORIST in MIAMI, FL. 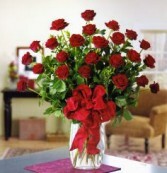 JOAN'S AROMA FLORIST HAS THE BEST LONG STEM RED ROSES IN MIAMI FL. Click Here to give us a Review on Google !